From complex sales channels to multiple product lines, B2B business owners are faced with challenges that retailers aren’t often burdened with. 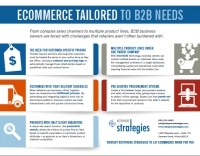 Download the PDF below to learn how eCommerce can work for your B2B business. 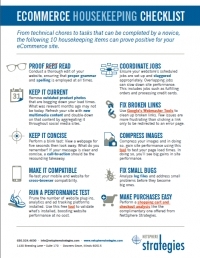 From technical chores to tasks that can be completed by a novice, the NetSphere Strategies eCommerce Housekeeping Tip Sheet can prove positive for your eCommerce site. 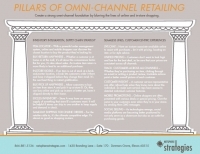 To create a strong omni-channel foundation, online store owners must begin by blurring the lines of online and in-store shopping. To discover how inventory integration, supply chain strategies and customer-centric experiences can help retailers achieve multi-channel consistency, download the PDF below.